Paul has been hanging out at APA! for a while now, and while we just love having him around, it's about time that he goes to a loving home. 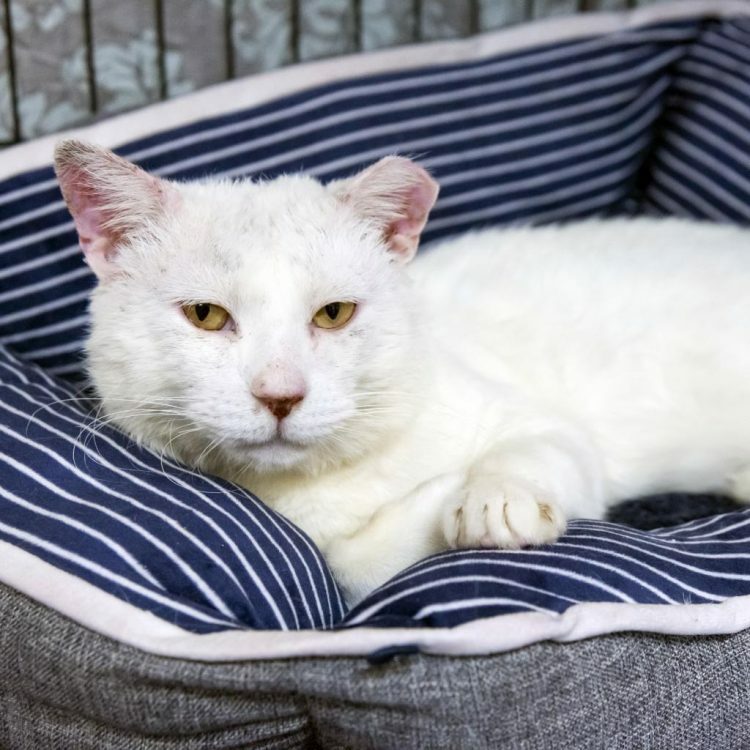 He'd be a gift to anyone's life: sweet and laid-back, he's easy to get along with, and he doesn't need much -- just a warm lap and a sunny spot to enjoy. He's so gentle and loving, and his calm temperament makes him an easygoing roommate. Many people are turned off by ringworm, not realizing that it's simply a very treatable fungus similar to athlete's foot - and completely temporary! When it goes away, his lovely white coat will once again be as pure and beautiful as fresh snow, and his personality will be as lovable as ever. 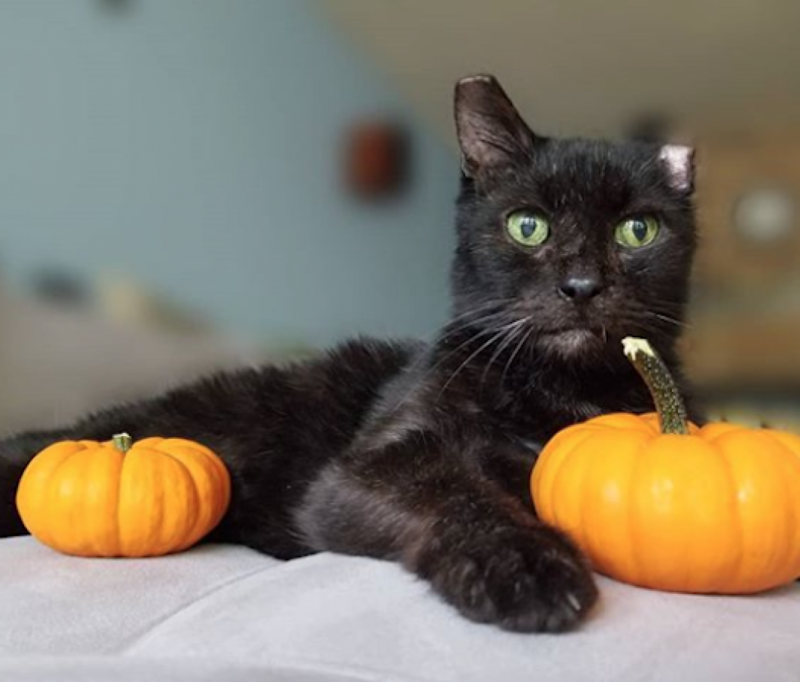 Plus, cats heal faster in a comfortable home environment, so he'll be on the fast track to regaining his beautiful old self, and you'll be getting a mellow and affectionate companion from the get-go. If you're willing to look past a temporary cosmetic issue, you'll see a gentle soul who's completely loving to anyone who encounters him. It's sad when wonderful cats are overlooked because someone doesn't look beyond the exterior. All of us who have spent time with Paul just adore him, and we know that anybody who takes the time to get to know him would fall in love, too. We all love the way he carefully rubs against whoever is visiting him and makes adorable little biscuits with his front paws. He's got a wise demeanor about him, and we think that in his short five years on the planet, he may just have figured out one of the big secrets of the universe: that if you've got a loving heart, not much else will matter to the right person. For further information or to meet Paul, please email [email protected]. 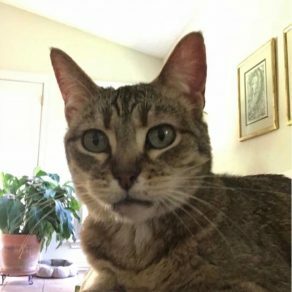 I saw Paul (https://www.austinpetsalive.org/adopt/cats/apa-a-69670) on the Austin Pets Alive! website and would like to request more information.